When one thinks of champions and purveyors of metaphor—those certain folks who habitually view experience and ideas as “like” something else, who are invested in better navigating, complicating, decoding, and enriching the human condition through comparison, juxtaposition, allusion, and all other available schemes and tropes—one normally thinks of poets: Shakespeare, Wallace Stevens, and the like. Neil Postman rarely comes to mind. If he does, he’s at the very end of one’s mental list, dangling from a metaphor shaped like a string. And this, we think, is a lamentable thing. Postman wasn’t a poet, strictly speaking, but he had a poet’s nature—a poet’s soul. And like poets, he always spoke crucially to his readers without excluding or pandering to them and thought that ideas could help save us were we mindful, or help ruin us if we weren’t. He espoused the same values as most poets and addressed the same questions with equal fervency and fluency: careful thought, the import of probing questions, the dangers of definition, the celebration and propagation of humanism, the love of language, etc. He understood Blake’s dark, satanic mills and militated against them. He knew Thoreau’s quiet desperation and hoped to help us avoid it. And he knew how to eat a peach and steal any number of plums from the refrigerator. Although primarily known as an educationist and a media critic, Postman was, at his core, a “noticer”—and he particularly noticed what we do with metaphor and how metaphor shapes and creates our cognitive world. Much like George Lakoff and Ludwig Wittgenstein, Postman maintained that words (and words, in truth, are metaphors) are as much the driver of reality as they are the vehicle. Consequently, metaphor was not a subject to be relegated and limited to high school poetry units wherein a teacher drones on about the difference between “like” and “as” and considers the job finished. For Postman, the study of metaphor was unending and metaphors were as crucial as they were omnipresent; they served to give form to and dictate experience. Is America the great melting pot, or is it an experiment in unity through diversity? What metaphors are embedded in television commercials—are commercials, in fact, parables and/or metaphors for “Heaven?” Is language a tree or a river? If the medium is the metaphor, then what framing mechanisms are at play when one reads Dickens as opposed to watching Friends? Can one “save time” without a clock? Can a certain medium of communication, say, smoke signals, convey significant truths? Can a poem? All of the above questions are questions that Postman pondered (and, come to think of it, they’re all good ideas for poems). Throughout Postman’s books (to name a few greats: Amusing Ourselves to Death, Technopoly, Conscientious Objections, The End of Education, The Disappearance of Childhood), the importance of metaphor comes up time and time again. Put simply, Postman (like his teacher and hero, Marshall McLuhan), maintained that the medium through which information is conveyed directly colors meaning and our sense of the world—hence Postman’s lamenting the slow death of the “typographical mind” and the rise and present ubiquity of television. We are, essentially, what we see, hear, and read. Postman might go so far as to opine that we are the metaphors we use. In honor and remembrance of Neil Postman, who died on October 5th, 2003, we have established the Neil Postman Award for Metaphor. The purpose for the award is simple and two-fold: To reward a given writer for his or her use of metaphor and to celebrate (and, hopefully, propagate) Postman’s work, and the typographical mind. 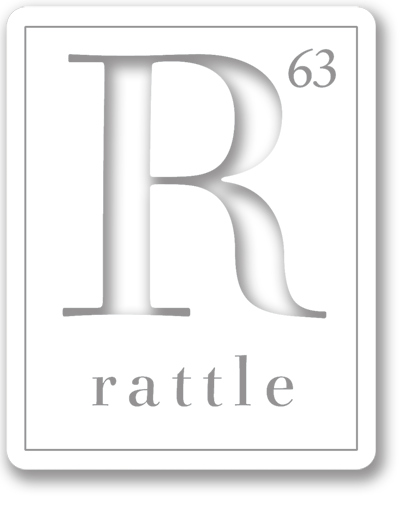 Each year the editors of Rattle choose one poem from the content published online or in print during the previous year, and all poems that were submitted to the magazine are eligible. There are no entry fees or special guidelines involved. The author of the chosen poem will receive $1,000. We hope that the winner will buy books with the money. And kill their television.